On Friday, Global Financial Integrity hosted professors Michael Findley and Daniel Nielson to talk about their new book, Global Shell Games, Experiments in Transnational Relations, Crime, and Terrorism. 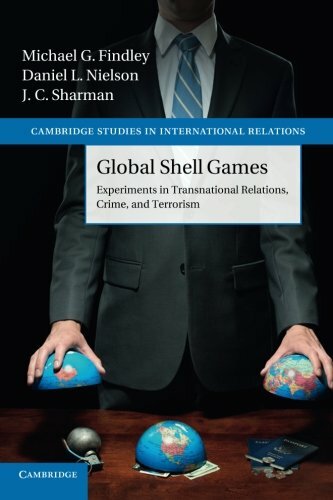 The book follows their ground-breaking paper, Global Shell Games: Testing Money Launderers’ and Terrorist Financiers’ Access to Shell Companies, which was published in 2012. The authors approached nearly 4,000 services in over 180 countries in a random assignment experience designed to measure how difficult it was to convince a corporate service provider or law firm to create a shell company without proper identification. Even after adding warning signs that the request was coming from potentially corrupt or terrorist-related money, they found that many incorporation services did a poor job of complying with international minimum standards. U.S. corporate service providers were the 2nd among the 180 countries in compliance, only ranking behind Kenya. The authors were joined by GFI’s Heather Lowe and Tax Justice Network-USA’s Jack Blum, for a panel discussion on the implications of the research, and the issue of anonymous companies.